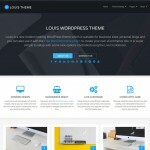 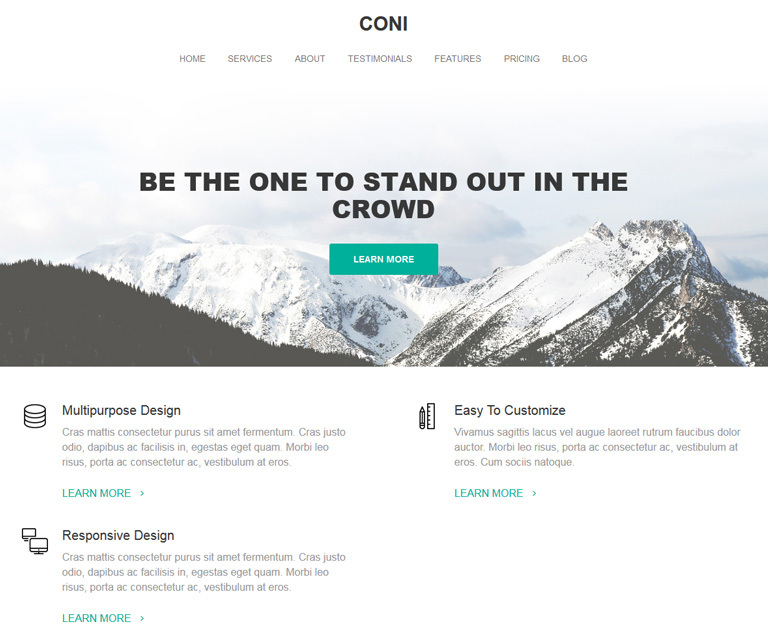 Coni is a multipurpose theme, focus on corporate and business. 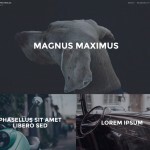 With responsive and minimalist design. 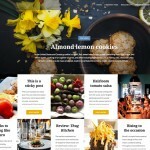 Includes an awesome One Page design for the front page, with unique section to present your content, like Services, Features, Team members, Videos, Images, Testimonials, Pricing tables, Clients, Blog posts and much more.